Lynn and Ali visited us from DC in August. 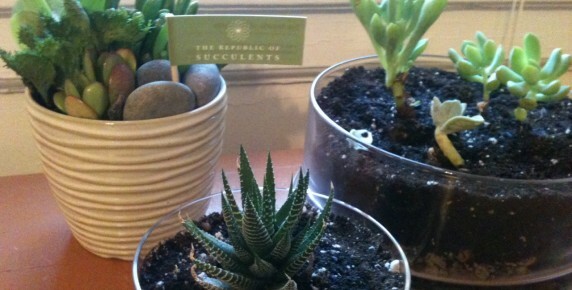 They were great patrons as well and purchased 3 succulent arrangements for their friends in SoCal. Upon their departure, they took home a custom arrangement, Designed for DC. 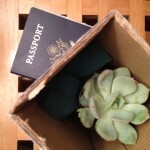 We packed it nicely in a box and it arrived safely via airplane with them to their home in Washington DC. Here’s a photo she sent. Thank you Lynn and Ali! 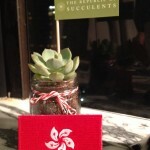 I gave a really good friend, Terence, a baby jar succulent. The thing is, is that Terence lives in Hong Kong. 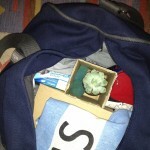 He took the succulent with him from LA to Hong Kong, and sent these photos. 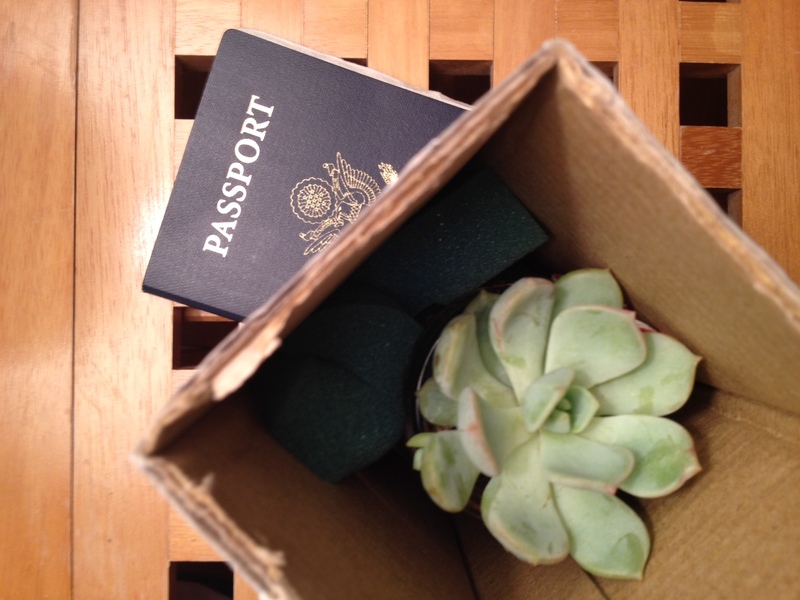 This is the furthest an item from the Republic of Succulents has traveled > we now have international reach. 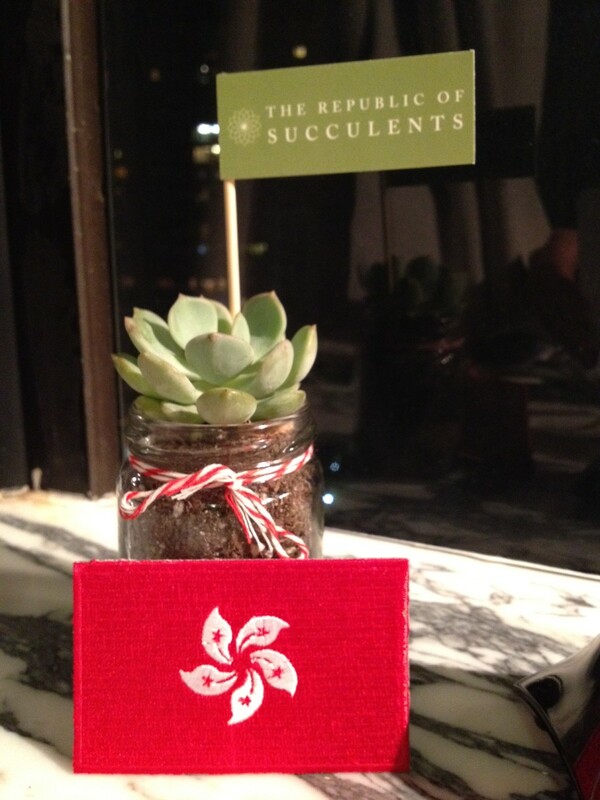 Does a Republic of Succulent travel well? Terence and I will say, yes it does. 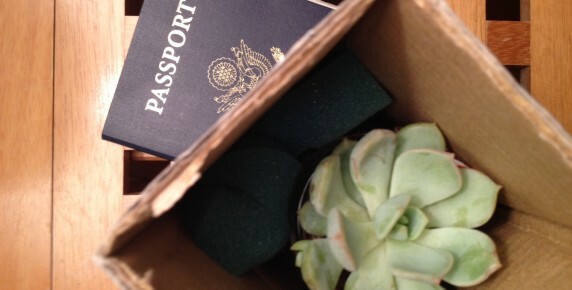 A succulent, checked-in and ready for take off. 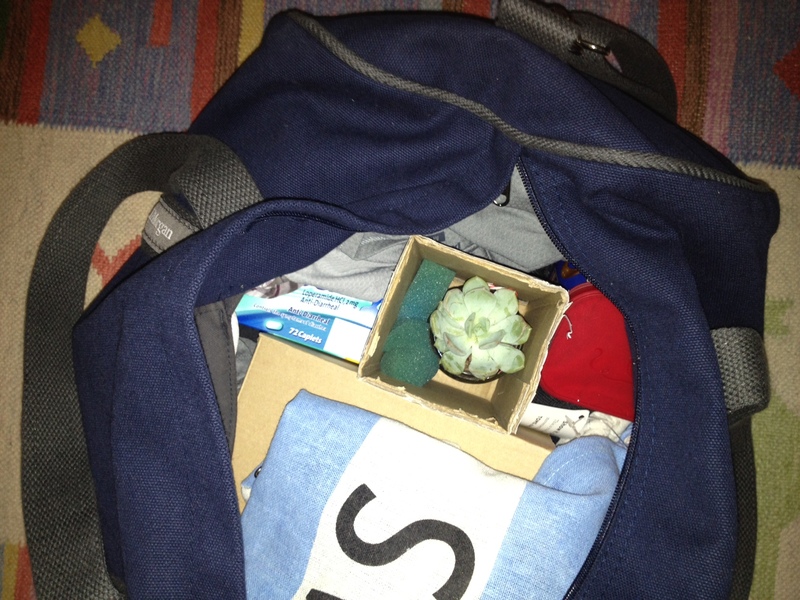 From California – Tom’s shoes and succulent, check. In its new home in Asia, on a high-rise window sill in Hong Kong. Thanks Terence!